갤러리 이배는 2017년 12월 5일(화)부터 12월 10일(일)까지 미국 플로리다주 마이애미 아트 마이애미 파빌리온(Art Miami Pavilion)에서 개최된 아트 마이애미(Art Miami)에 참가하였다. 1989년 설립된 이래로 매년 12월 마이애미 아트위크 기간에 열리는 아트 마이애미는 세계 미술계를 주도하는 갤러리, 컬렉터, 미술 애호가들의 교류의 장으로 자리 잡았다. 아트 마이애미에는 해외미술시장 개척사업의 일환으로 문화체육관광부와 한국문화예술위원회가 후원하고 한국화랑협회가 주관하는 <코리안 아트쇼(Korean Art Show)>가 진행되었다. 올해 아트 마이애미에는 공모를 통해 10여개의 국내 갤러리가 선정되었고, 갤러리 이배는 부산 지역 갤러리로서는 처음으로 세계적인 명성의 아트 마이애미에 참가하였다. 갤러리 이배는 그 동안의 국내외 기획전시 및 아트페어 참가를 통해 작품성을 인정받고 세계 무대에서 활발히 활동하는 고명근, 권대훈, 김현식, 이우림, 정진용 작가의 작품을 출품하여 한국 작가들의 위상을 고취시킴과 동시에 큰 호응을 받았다. 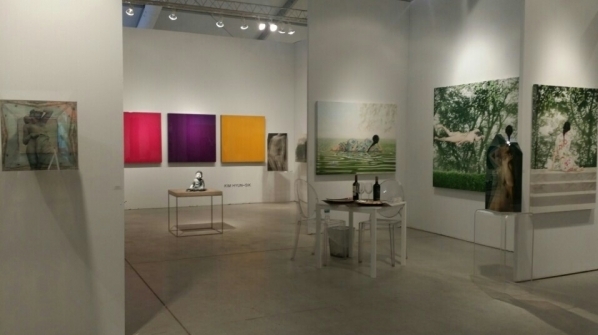 GALLERY LEE & BAE participated <2017 Art Miami> opened at Art Miami Pavilion, Miami, USA from 5th to 10th of December, 2017. 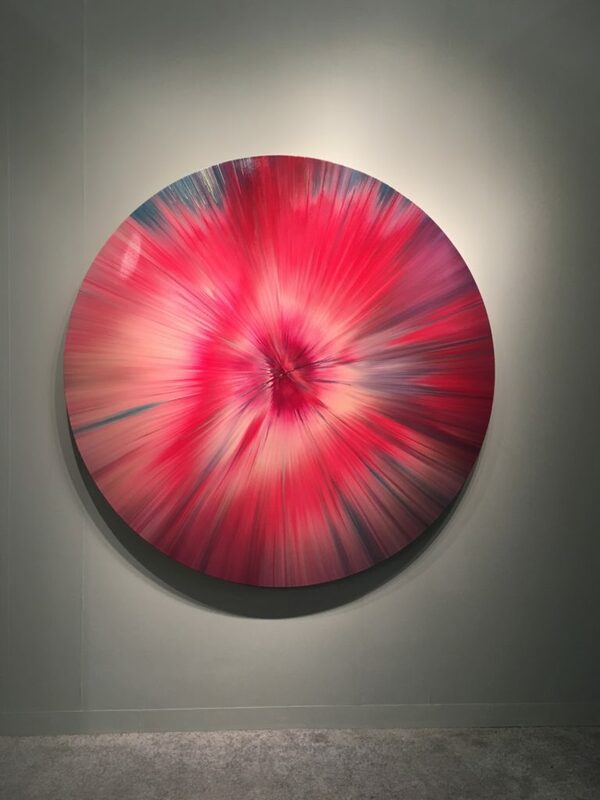 Renowned as one of the America's leading international contemporary and modern art fairs, Art Miami showcases an array of iconic and exemplary works, dynamic projects and special installations from more than 140 international galleries from over 22 countries representing over 60 cities. 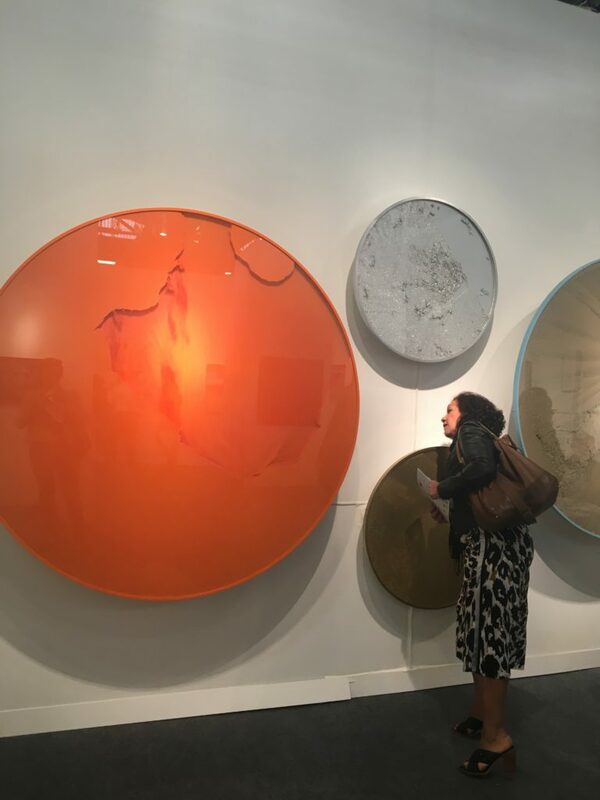 As one of the top ranked international art fairs for attendance in the U.S. and second most attended globally, Art Miami attracts more than 85,000 new and established collectors, curators, museum professionals, members of the press and art world luminaries annually. GALLERY LEE & BAE had great success with promotion for 5 excellent Korean artists as following: Koh Myung-Keun, Kwon Dae-Hun, Kim Hyun-Sik, Lee Woo-Lim, Jeong Jin-Yong. 갤러리이배는 2017년 11월 7일(화)부터 11월 12일(일)까지 대구 컨벤션센터(EXCO)에서 개최된 2017 대구아트페어에 참가하였다. 올해로 10회째를 맞이하는 대구아트페어는 대구의 축제이자 미술계의 큰 행사로 자리 잡았다. 이번 아트페어에는 7개국, 101개의 국내외 유수한 화랑들이 참가하여 수준 높은 미술견본시장의 면모를 보여주었다. 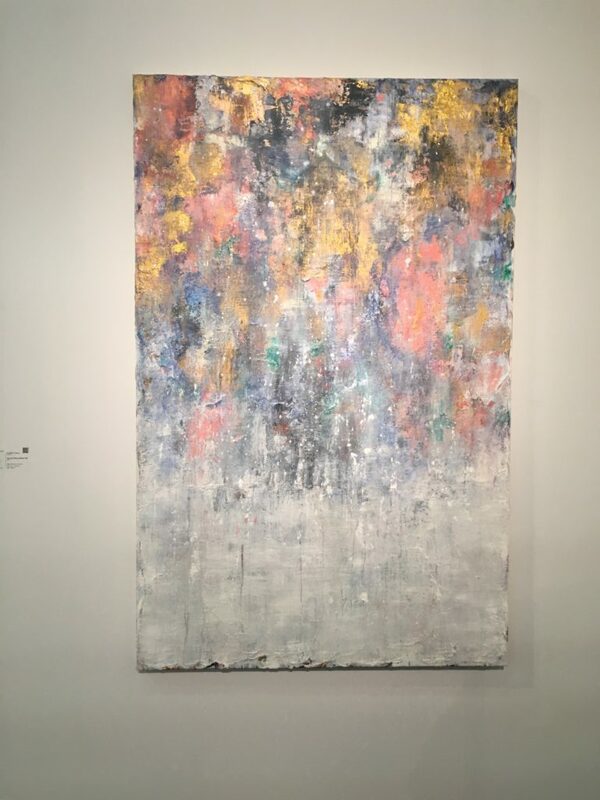 갤러리이배는 세계 도자회화의 새로운 지평을 연 이승희 작가, Context Art Miami에서 큰 호응을 얻었던 이우림 작가, 도자로 산수회화를 표현한 중국의 신예작가 후하이잉의 작품을 선보였다. 국내외 미술계를 이끌어나가는 대표 작가들의 작품을 출품하여 미술애호가와 컬렉터로부터 좋은 반응을 얻었다. GALLERY LEE & BAE participated in 2017 Daegu Art Fair which opened at Exco, Deagu, Korea from 7th to 12th of November, 2017. 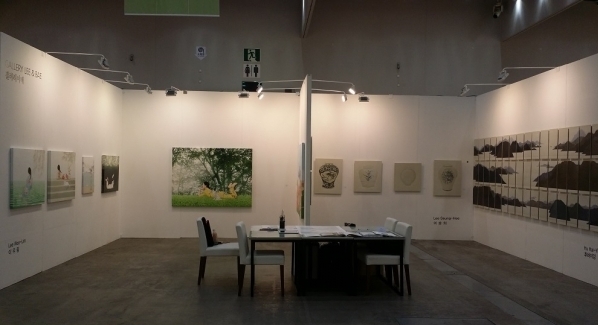 The Daegu Art Fair is the one of the biggest events of the art world as well as a big festival of Daegu. 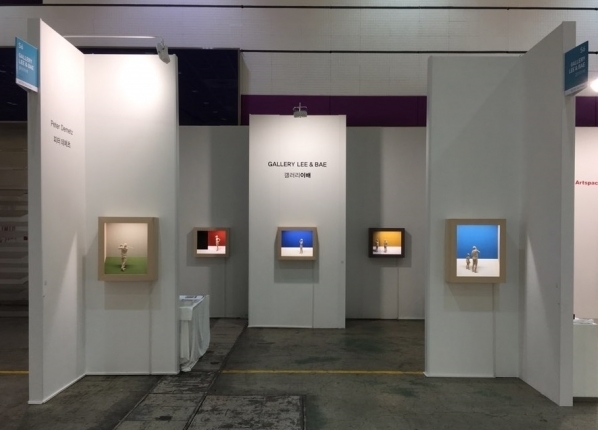 The Daegu Art Fair, now in its 10th anniversary year, has been focusing on the uniqueness of Daegu regionality with art of high standard. 101 domestic and foreign galleries participated from 7 countries are shown in this art fair. Gallery LEE & BAE exhibited the artworks of artists who lead the domestic and international art world. We exhibited ceramic artworks of Lee Seung-Hee who opened a new horizon of the world, paintings of Lee Woo-Lim who was successful in Context Art Miami last year, and also including Chinese young artist Hu Hai Ying’s ceramic landscape. Gallery LEE & BAE was well-received by art collectors and enthusiasts. 갤러리 이배는 2017년 10월 19일(목)부터 10월 23일(월)까지 Taipei World Trade Center에서 개최된 Art Taipei 2017에 참가하였다. 아시아에서 가장 오랜 역사를 가진 Art Taipei 2017에는 대만, 중국, 한국, 일본 등의 아시아를 비롯하여 중동, 유럽, 북미 등 세계 여러 국가의 갤러리들이 참가하여 500명 이상의 예술가들의 작품들을 전시하였다. Art Taipei는 동북아시아와 동남아시아의 공동체로서의 지리적 이점과 대만의 고급 미술 수집가들에 의한 오랜 성공과 지속적인 성장으로 매년 국내외로 많은 아티스트들과 예술 애호가들을 만날 수 있는 최고의 아트 플랫폼으로 자리매김하였다. 갤러리 이배는 <Frontier> 섹션에 초대를 받아 ‘창’을 통한 사색을 서정적으로 해석한 미디어작품으로 세계 각지에서 인정받은 임창민(미디어) 작가와 나노과학과 사진예술의 결합을 시도한 참신하고도 아름다운 지호준 작가(사진)의 작품을 출품하여 한국 현대 미술의 위상을 고취시킴과 동시에 큰 호응을 받았다. GALLERY LEE & BAE participated in Art Taipei 2017 which was held at the Taipei World Trade Center from 19th to 23th of October, 2017. Art Taipei is the oldest art fair in Asia. More than 500 artist‘s artworks including Taiwan, China, South Korea, Japan as well as Europe, North America exhibited in Art Taipei. Art Taipei is emerging as one of the most important platforms for promoting local arts and contributing to the development of global arts. Featuring premium and visionary collectors from Taipei and abroad, Art Taipei aims to present a top-tier feast by showcasing best galleries in the world, and exploring global art trends. GALLERY LEE & BAE was invited to <Frontier> section and had an exhibit of Lim Chang-Min and Ji Ho-Jun, providing an opportunity for the public and collectors to meet new and creative artworks. 갤러리 이배는 2017년 9월 21일(목)부터 24일(일)까지 서울 코엑스에서 개최한 2017 KIAF/ART SEOUL에 참가하였다. 올해로 제 16회를 맞이하는 KIAF/ART SEOUL은 매년 명성 높은 국제적 갤러리들을 엄선하여, 참신하고 다양한 현대미술을 선보이는 국내 최대 규모의 아트마켓이다. 국내 미술계뿐만이 아닌, 아시아를 비롯한 해외 주요 컬렉터들과 미술관계자들이 한 자리에 모이는 미술축제이며, 특히, 2015년부터 시작한 국내외 미술애호가들을 대상으로 한 VIP 초대 프로그램도 운영함으로써 대단히 큰 반향을 만들어가고 있다. 갤러리이배는 정교한 조각으로 나무에 새 생명을 불어넣는 세계적인 조각가 Peter Demetz 작가의 작품을 단독으로 출품하여, 이탈리아 조각의 역사적인 전통과 장인 기술을 그대로 이어받은 동시에 조각과 회화의 현대적인 관점을 공간적으로 해석한 신작 11점을 선보였다. 역량있는 해외작가의 참신하고 심도 깊은 작품을 선보임과 동시에 국내외 콜렉터들과 미술애호가들로부터 큰 호응을 받았다. GALLERY LEE & BAE participated in <2017 KIAF/ART SEOUL> which was held at Coex, Seoul, Korea from the 21st to the 24th of September. 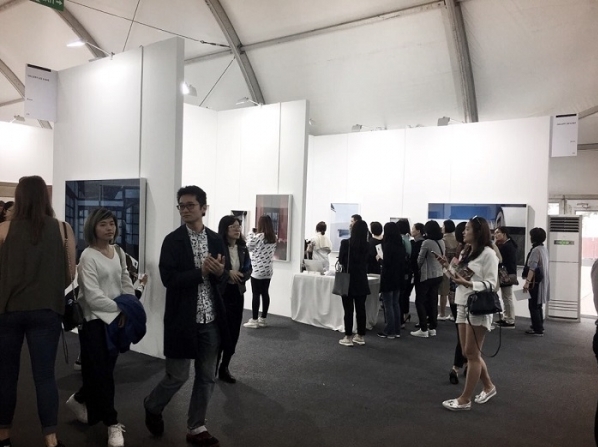 <2017 KIAF/ART SEOUL> Art Faire celebrated their 16th anniversary this year. 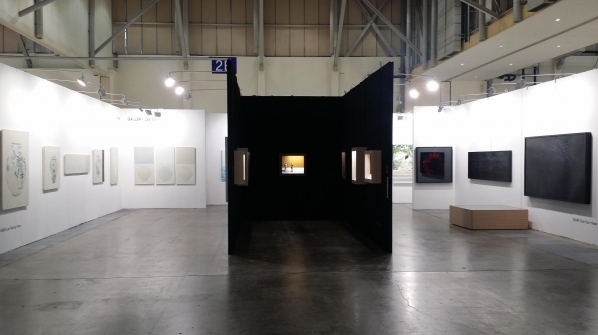 In 2017 KIAF/ART SEOUL, they select the prestigious galleries each year and it is the best art market in Korea, with fresh and diverse contemporary arts. It is an international art festival in Asia of major collectors and art parties who are gathered in one place. Also, they started the VIP invitation program from 2015 for domestic and international collectors. It is creating a sensation in the art fair. We showed sophisticated pieces from, world class sculptor, Peter Demetz's eleven new pieces. Which he is continuing historical tradition and craftsman's techniques at the same time with a spatially interpreted contemporary perspective of sculpture and painting. We showed the originality and in-depth of capable artist's artwork abroad and were well-received by art collectors and enthusiasts. 갤러리 이배는 2017년 3월 21일(화)부터 3월 25일(토)까지 홍콩 센트럴 하버프론트(Central Harbourfront, Hong Kong)에서 개최되는 2017 아트 센트럴(Art Central 2017)에 참가하여, 싱가포르의 저명한 아트전문회사인 <The Artling> 온라인 매거진에서 '우리가 아트센트럴 2017을 좋아하는 6가지 이유'에 선정되는 영예를 안았다. 이 매거진에서는 Art Central 2017 하이라이트 중에 대표적으로 우수한 6개의 이벤트를 선정하였다. Art Central returned for another edition of the fair, ramping up their programme this year! Between the curated exhibitions, large-scale installations, talks, films and performance art, there was so much to do that it was difficult to make sure we covered everything, which is why we're bringing you some of the event highlights from the fair. We've only just come back from this year's edition, but we're already excited about the next one! Art Basel Hong Kong is known for being the place to see works by blockbuster artists like Takashi Murakami, Donald Judd, Zao Wou-ki and Subodh Gupta. In contrast, Art Central offers a completely different position, with works by young emerging artists coming out of Asia. This year we saw many more Korean galleries with booths, offering a good opportunity to encounter the works of may artists we might not necessarily get the chance to! However, this is not to say that there weren't any big names at Art Central; we saw works by Yayoi Kusama, Yoshitomo Nara and Botero on display at some of the booths as well! 갤러리이배는 2017년 6월 1일(목)부터 6월 5일(월)까지 부산 벡스코 제1전시장에서 개최되는 2017 아트부산에 참가하였다. 아트부산은 2012년 첫 행사를 시작으로 올해로 6회 째를 맞이하는 부산 최대의 아트페어이다. 이번 아트페어에는 16개국, 170여개의 갤러리가 참가해 4000여점의 현대미술 작품을 선보였다. 갤러리이배는 정교한 조각으로 나무에 새 생명을 불어넣는 세계적인 조각가 Peter Demetz를 이번 아트페어를 통해 처음으로 선보였다. 세계 도자회화의 새로운 지평을 연 이승희 작가, Context Art Miami와 New York에서 큰 호응을 얻었던 이우림, 임창민 작가를 비롯하여, 우리나라를 대표하는 라이트아트의 최수환 작가, 뛰어난 조형감각으로 주목받는 젊은 조각가 엔조가 참가하였다. 국내외 미술계를 이끌어나가는 대표 작가들의 작품을 출품하여 현대 미술의 위상을 고취시킴과 동시에 큰 호응을 받았다. GALLERY LEE & BAE participated in "2017 Art Busan" which opened at Bexco, Busan, Korea from the 1st to the 5th of June, 2017. The Art Busan 2017 was first launched in Busan in 2012. More than 170 domestic and foreign galleries participated from 16 countries and 4,000 pieces of modern artworks are shown in this art fair. Gallery LEE & BAE exhibited the artworks of artists who lead the domestic and international art world. We showed sophisticated pieces from world class sculptor Peter Demetz and ceramic artist Lee Seung-Hee opened a new horizon of the world, and also including the artists Lee Woo-Lim and Lim Chang-Min who were successful in Context Art Miami and New York last year, and representative light art artist Choi Soo-Whan, and young sculptor Enjo who are making an attention with his sensitive pieces. GALLERY LEE & BAE had much success promoting them there. 갤러리이배는 2017년 5월 3일 부터 5일간 뉴욕 허드슨 강변 PIER 94에서 열린 CONTEXT NEW YORK에 참가하여 미국의 저명한 미술전문 매거진 <ARTZEALOUS>가 선정한 절대 놓쳐서는 안될 7개 갤러리에 선정되는 영예를 안았다. 이 잡지는 ART NEW YORK과 종합하여 올해 총 7개의 부스를 우수 부스로 선정하였다. Overwhelmed by Frieze Week so far? 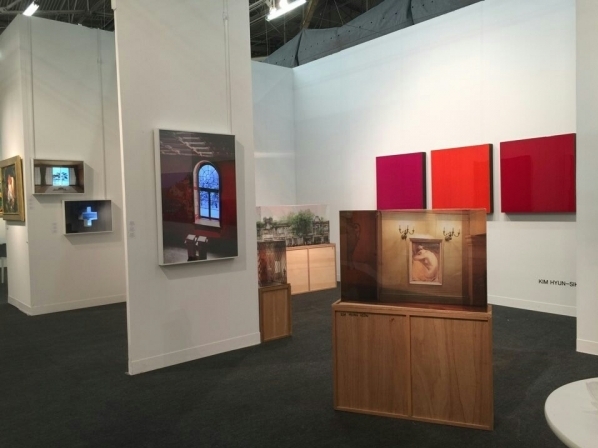 No worries, we’ve selected our favorite booths from Art New York x Context Art for you. More than 150 galleries and 1,200 artists from 50 countries joined the fair this year. It’s a must-see for those who want to experience the best of the global contemporary art market. Don’t forget to catch the fair before it ends on May 7th. 갤러리이배는 2017년 5월 3일(수)부터 5월 7일(일)까지 허드슨 강(Hudson River)에 위치한 피어 94(Pier 94, New York)에서 개최되는 2017 컨텍스트 뉴욕(Context New York 2017)에 참가하였다. 2016년에 첫 위성 아트페어로 출범하여 올해로 2회를 맞이한 컨텍스트 뉴욕은 국제 컨템포러리 & 모던 아트페어의 선구자인 아트 마이애미(Art Miami)가 주관하는 아트페어로 50여 개국 150여개의 국내외 화랑들이 참가하였으며, 1000여명의 아티스트들의 작품을 한자리에서 만나볼 수 있다. 특히 중견 작가의 강화와 발전에 중점을 두고 있는 이번 아트페어에서는 신선하고 얼터네이티브한 작품들을 중심으로 전시되어, 많은 관람객들과 컬렉터들에게 선구적인 현대미술을 접할 수 있는 기회를 가지게 하였다. 갤러리이배는 우리나라를 대표하는 고명근(사진조각), 김현식(회화), 임창민(미디어) 작가의 작품을 출품하여 한국 현대 미술의 위상을 고취시킴과 동시에 큰 호응을 받았다. 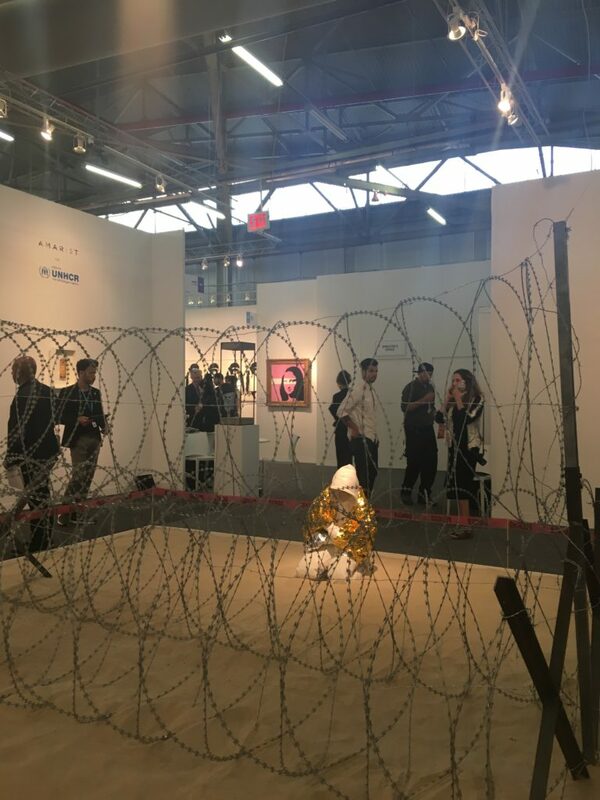 GALLERY LEE & BAE participated in "Context New York 2017" which was held at Pier 94, located on the Hudson River from the 3rd to the 7th of May, 2017. 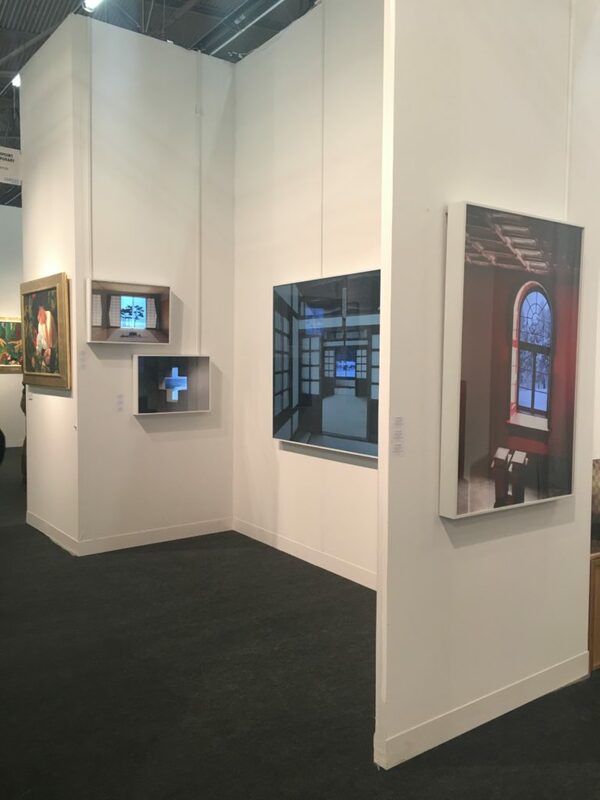 Context New York was first launched as the satellite art fair in 2016. 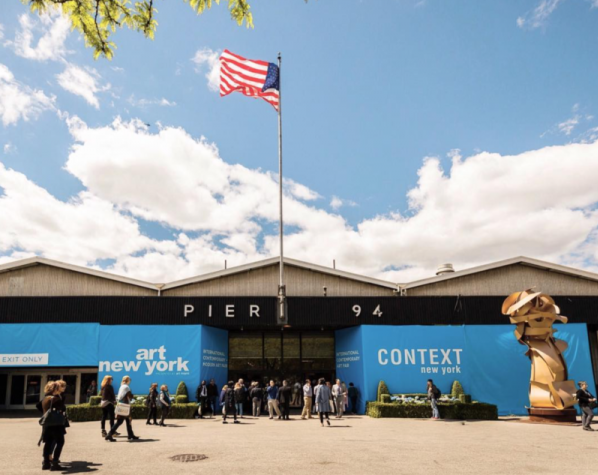 Art Miami, a pioneer of international contemporary & modern art fairs, is sponsoring Context New York. More than 150 domestic and foreign galleries participated from over 50 countries and we can see the artwork of 1,000 artists in one place. This art fair especially is focusing on strengthening and developing middling artist and on fresh and alternative artworks. So many visitors and collectors can have a chance to see pioneering contemporary art. GALLERY LEE & BAE had an exhibit of Koh Myung-Keun, Kim Hyun-Sik, and Lim Chang-Min who are building up their own artwork world. GALLERY LEE & BAE had much success promoting them there. 갤러리이배는 2017년 4월 20일(목)부터 24(월)까지 부산 벡스코에서 개최되는 2017 BAMA 부산국제화랑아트페어에 참가하였다 부산국제화랑아트페어는 2012년 첫 행사를 시작으로 올해로 6회 째를 맞이하는 부산 최대의 아트페어이다. 올해 부산국제화랑아트페어에서는 서울, 경남, 대구, 경북 등 전국 단위와 해외 화랑들을 포함하여 90여개의 화랑들이 참여하여 규모와 질적인 성장을 이루었다. 갤러리이배는 중국의 신예작가 후하이잉(도자회화)을 비롯하여 지난해 Context Art Miami에서 큰 호응을 얻은 경경(회화), 뛰어난 조형감각으로 주목받고 있는 젊은 조각가 엔조(조각)의 작품을 선보였다. 갤러리이배는 차세대 한국미술계를 이끌어갈 젊은 작가들의 작품을 선보임으로써 한국 미술계의 미래상을 제시하였으며 미술애호가와 미술품 컬렉터로부터 좋은 반응을 얻었다. GALLERY LEE & BAE participated in <2017 Busan Annual Market of Art> which opened at Bexco, Busan, Korea from 20th to 24th, April, 2017. BAMA is a noteworthy global art market in Busan which started at 2012. 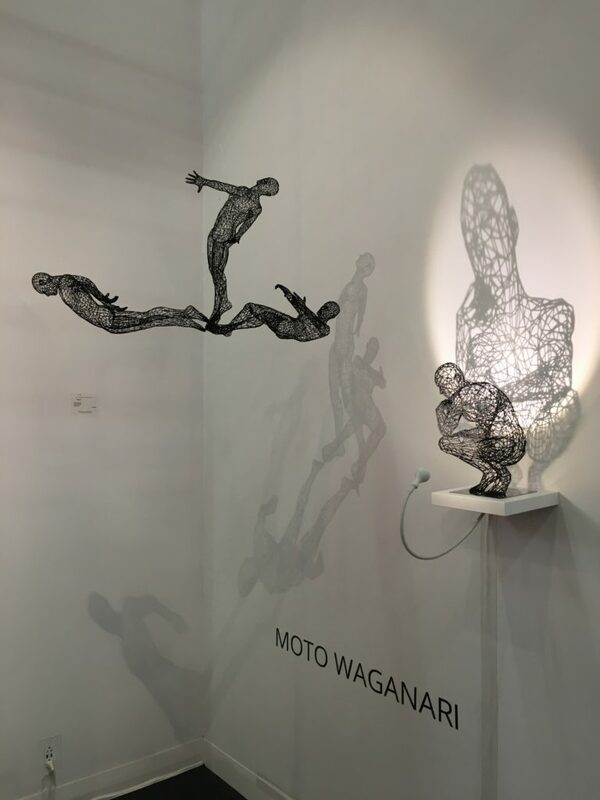 Around 90 galleries from all parts of the Korea such as Seoul, Gyeongnam, Daegu, Gyeongbuk, etc to foreign country took part in the art fair this year and proved its growth in terms of scale and quality. GALLERY LEE & BAE displayed artworks of three young artists: Chinese young ceramic artist Hu Hai Ying, Kyung Kyung who was successful in Context Art Miami last year, and young sculptor Enjo who received attention with his formative sensation. By presenting artworks of young artists that will lead the next generation of Korean art world, GALLERY LEE & BAE was well-received by art collectors and enthusiasts. 갤러리 이배는 2017년 3월 21일(화)부터 3월 25일(토)까지 홍콩 센트럴 하버프론트(Central Harbourfront, Hong Kong)에서 개최되는 2017 아트 센트럴(Art Central 2017)에 참가하였다. 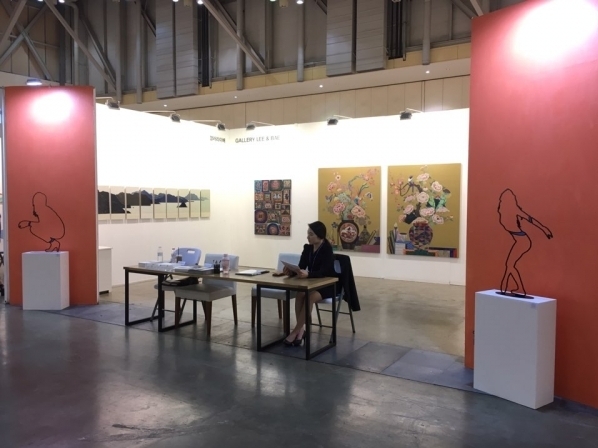 세계적인 아트페어인 아트 바젤 홍콩(Art Basel Hong Kong)의 첫 위성 아트페어인 아트 센트럴(Art Central)은 센트럴 하버프론트의 대형 텐트에서 열리는 아트페어로 아트홍콩 설립자인 샌디 앵거스와 팀 에첼스가 젊고 실험적인 예술가들을 집중적으로 소개하기 위해 2015년에 출범시켰다. 올해로 제 3회를 맞이한 아트 센트럴은 100여개의 국내외 화랑들이 참가하였으며, 일반대중 및 미술애호가들에게 참신하고 캐주얼한 작품들과 다양한 퍼포먼스 이벤트를 통해 새로운 작가들을 접할 수 있는 기회를 제공하고 있다. 갤러리 이배는 그 동안의 기획전시 및 아트페어 참가를 통해, 새로운 시도로 자신만의 작품 세계를 구축해가고 있는 임창민(미디어) 작가의 작품을 단독으로 출품하여, 한국 미디어 아트의 위상을 고취시킴과 동시에 큰 호응을 받았다. GALLERY LEE & BAE participated in <Art Central 2017> which opened at Central Harbour front, Hong Kong from the 21st to the 25th of March, 2017. 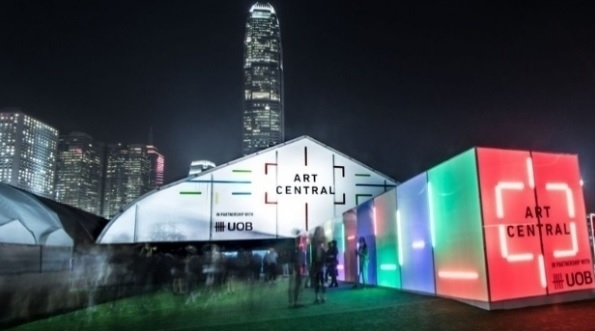 Art Central is the first satellite art fair of Art Basel Hong Kong in a large tent on the Central Harbour front. Tim Etchells and Sandy Angus launched the Art Central to introduce young and experimental artists in 2015. Art Central celebrated their third anniversary this year. 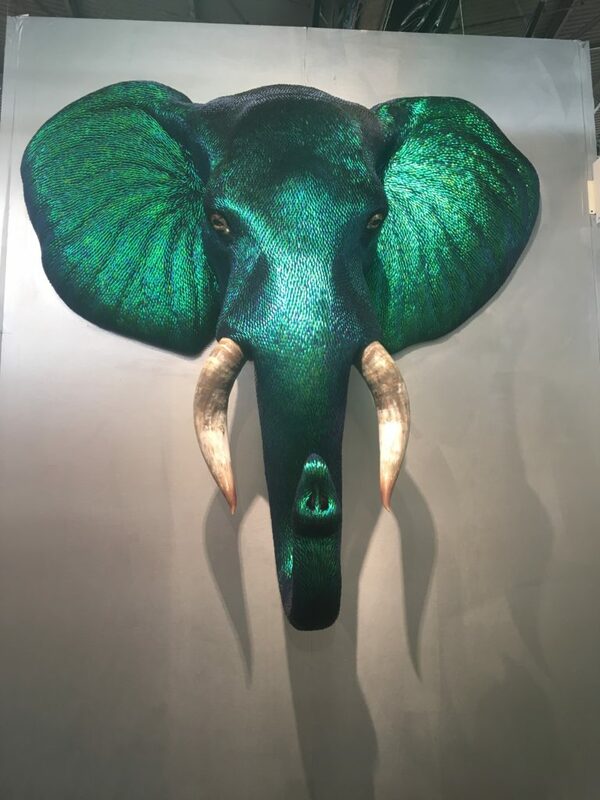 More than 100 domestic and overseas galleries showed original and casual artwork, through different performance events and provided an opportunity for the general public and collectors to meet new and creative artists and their artworks. Through participating in exhibitions and art fairs, GALLERY LEE & BAE had a solo exhibit of Lim Chang-Min who is building up his own artwork world. GALLERY LEE & BAE had much success promoting the excellent Korean media artist, Lim Chang-Min.